3) Conference registration will be accepted and a confirmation email will be sent. In the United States, cardiovascular diseases claim more lives than all forms of cancer combined. Currently more than 1 in 3 adults live with 1 or more types of cardiovascular disease. 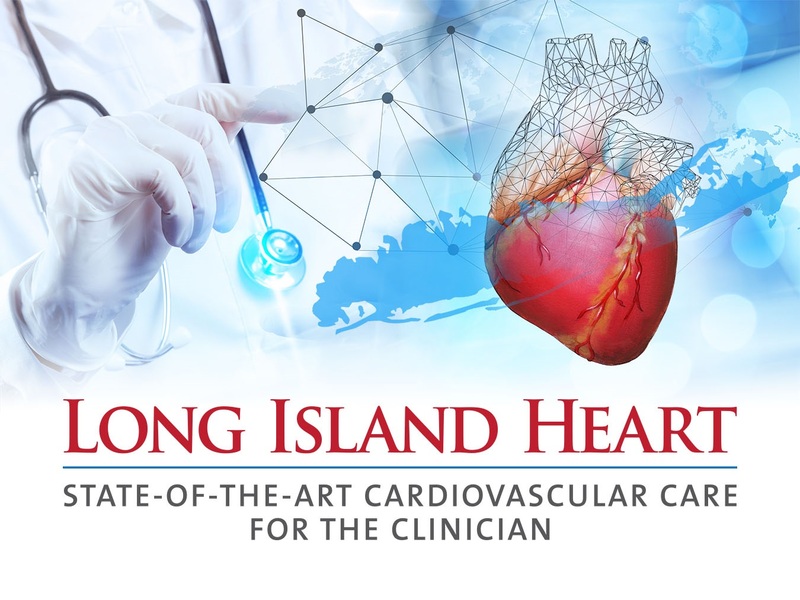 The Long Island Heart: State-of-the-Art Cardiovascular Care for the Clinician is designed to provide clinicians with the best practices and state of the art advances in the diagnostics and therapeutics for cardiovascular disease. Utilizing interactive lectures and case study presentations the goal of this conference is to summarize recent clinical trials and research that have rapidly advanced pharmacologic and diagnostic therapies for cardiovascular diseases and assist clinicians in integrating these strategies into their clinical practice. Officially endorsed by the Heart Failure Society of America and the New York Chapter of the American College of Cardiology. The opinions presented in this educational activity do not necessarily reflect the opinions or recommendations of the HFSA and NY-ACC. Long Island Heart: State-of-the-Art Cardiovascular Care for the Clinician is intended for interventional cardiologists, clinical cardiologists, hospitalists, internists, family practice, cardiothoracic surgery, pulmonologists, nephrologists, and emergency medicine physicians, nurses, nurse practitioners, physician assistants, and clinicians who provide care for patients with cardiovascular disease. If hotel accommodations are desired, a negotiated rate of $179 plus tax has been negotiated at the Melville Marriott Long Island Hotel. The Center for Emergency Medical Education (CEME) designates this live activity for a maximum of 11.75 AMA PRA Category 1 Credits™. Physicians should claim only the credit commensurate with the extent of their participation in the activity. The Center for Emergency Medical Education (CEME) designates this activity for a maximum of 11.75 hours of participation for continuing education for allied health professionals.